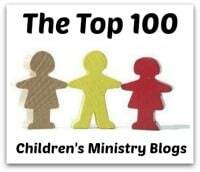 About the Children's Department: Do You Have a Next Generations Ministry? 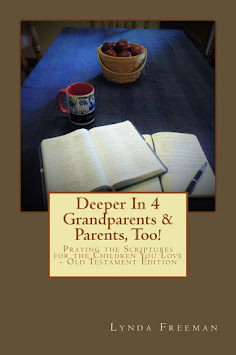 Do You Have a Next Generations Ministry? 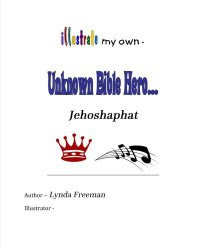 When I first began writing about Children's Ministry I wrote on my own website. Then after about 10 years people began blogging, so I switched my content to a blog format and have been writing this blog for about eleven years now. Back then there was a "raging" debate about whether we should be focused on Children's Ministry or Family Ministry - today I want to say, in light of Larry Fowler's book, The Question Nobody Asks About Our Children, in my opinion, it is essential for us to focus upon the Next Generations Ministry. What is a Next Generations Ministry, you ask? 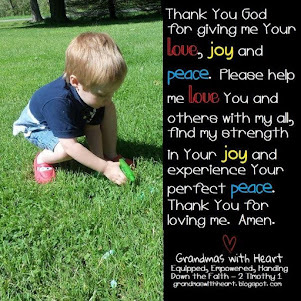 Well, it is a ministry which focuses upon engaging, equipping, encouraging and empowering both parents and grandparents, so they are able to hand down a heritage of faith to the children they love. 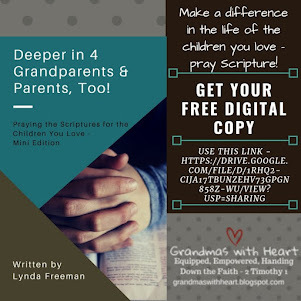 A Next Generations Ministry is NOT just a class or two you offer each year on parenting, nor is it a Sunday school class for parents or grandparents - although both of these things could be used to connect with parents and grandparents. 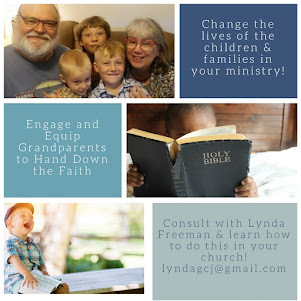 A Next Generations Ministry is ministry which is focused on purpose to engage, equip, encourage and empower parents and grandparents on a regular basis, connect them with the Children's Ministry - and Youth Ministry as well - so they are able to hand down the faith on purpose. Why a Next Generations Ministry, you ask? 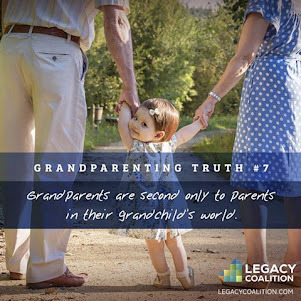 Because the parents are the most influential people in the lives of the children in your ministry and the grandparents are the second most influential people in the lives of those same children. Who else is better equipped, better positioned and who else loves these children as much as the parents and grandparents? 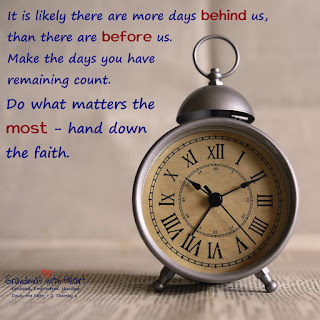 Add to this how 43% of people make the decision to believe in and follow Jesus between the ages of four and 13 - nine short years - it is so easy to see why it matters for us to be intentional when it comes to what happens with the children in our churches. If we are truly serious about reaching them and equipping them to start on a strong foundation as believers, we have to stop trying to do it all ourselves. We MUST engage, equip, encourage and empower the parents and grandparents; it is not an option to fail in this. 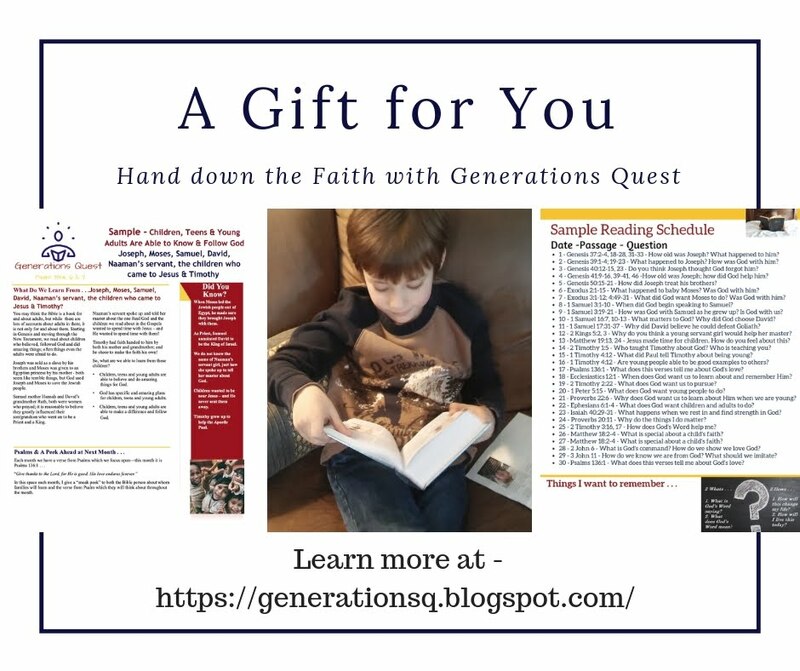 A thoughtfully designed and purposed Next Generations Ministry will be able to come alongside an effective Children's Ministry to carry out Deuteronomy 6 - God clearly tells us He wants parents and grandparents to hand down the faith in the every day, day-in-day out living of life. We must engage, equip, encourage and empower the parents and the grandparents if we are going to be effective in reaching the children in our ministries. We must focus on a Next Generations Ministry and when we do, the children will be reached and will grow to be people who one day hand down the faith to their own children and grandchildren. So where do you find resources to help you begin and implement a strong Next Generations Ministry? Check these resources to get you started and feel free to contact me as well. 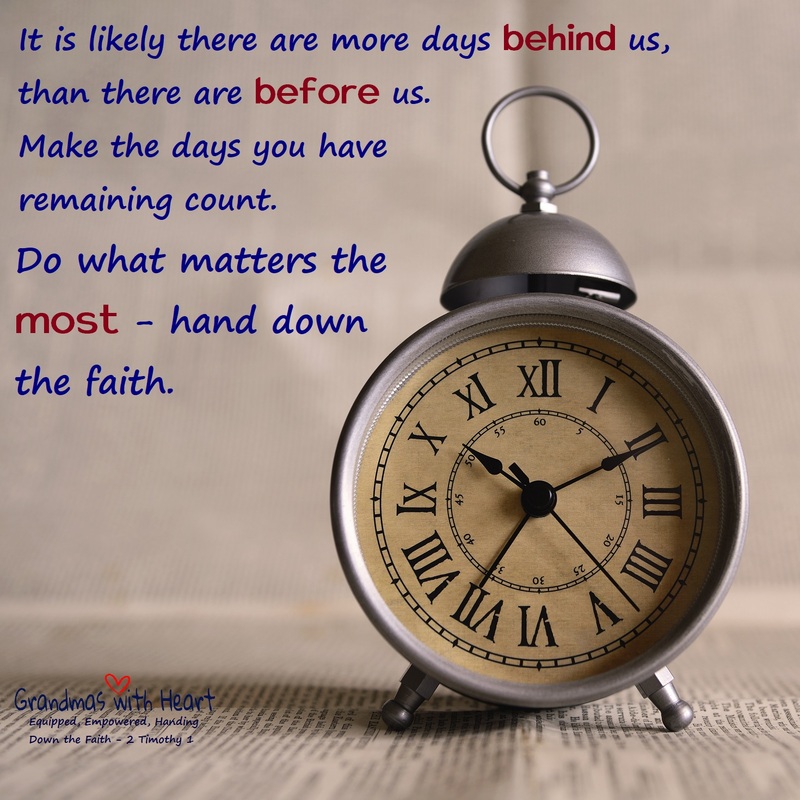 Grandmas with Heart at this link. Legacy Coalition at this link. 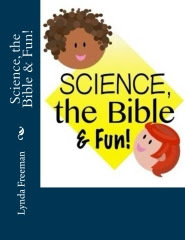 Me - Lynda Freeman at this link. Attend the CMConference - I will be teaching two workshops on this topic on Thursday, May 3, 2018 - info at this link.